When do You Need a Wrongful Death Lawyer in Louisiana? A wrongful death situation occurs whenever a person dies due to the negligence of another person or a company. Each state has their specific laws, procedures and time limits (called statute of limitations) that will impact when and how you should file a lawsuit. Speaking with a personal injury lawyer Baton Rouge that is trained, experienced and knowledgeable about your state’s regulations on wrongful death situations is vital for success. Building a strong case is the best solution and can only be done with time, effort and intellect. Contacting a lawyer will help put your mind at ease and start the healing process sooner. No amount of cash settlement can bring back your loved one, but knowing that financial expenses may be covered and the people responsible brought forward, will help give you a sense of security and comfort. When hospital workers (nurses, doctors, surgeons, etc.) cause a death – whether directly or indirectly – due to a negligence from their part, a wrongful death lawsuit may ensue. Negligence can occur during emergency situations, surgical performances, medical diagnosis of health conditions, wrongfully or prematurely discharging a patient and more. An anesthesiologist that does not follow through with his or her professional responsibilities and causes a death due to incorrect dosage or administration can be brought to account with a wrongful death lawsuit. A wrongful death lawsuit can stem from any vehicular accident that causes a death and was due to faulty car manufacturing products or driver misconduct. Trucking accidents are a common situation when drivers do not completely follow trucking regulations. As previously mentioned, each state has differing laws surrounding wrongful death lawsuits and who can file one will vary state to state as well. Essentially, all states allow immediate family members to file a lawsuit. Moreover, only one lawsuit can be filed for a deceased person. If more lawsuits are filed, they will likely be joined into one single lawsuit. If the deceased person was married, the spouse may file a wrongful death lawsuit. If the person was single, a distant relative may also file one, such as a grandparent or aunt and uncle. If the person was a minor, a parent may file the lawsuit, while if the person was an adult and had older children, their adult child may file. In civil unions, the partner also has the right to file. One of our lawyers will be able to guide you across every step and clear any doubts you may have. Stephen Babcock is a Louisiana wrongful death attorney that understands that being a victim of suffering during a wrongful death claim is a painful process indeed. Our law practice is dedicated to helping you get justice for your loss. Our numerous practice areas can handle your wrongful death case and help your family get the benefits that they deserve. Not all attorneys are built the same. Though most lawyers can help you with your case, it is wise to seek one with the specific expertise of wrongful death situations. It is also important to ask about past cases they have handled or resolved. A vehicular accident is different than a medical malpractice and having an attorney with past experience in your particular case is helpful. Hiring a lawyer that is licensed to work in the state where you are filing the claim is another factor to look for. The attorney does not necessarily have to be close to your house or the scene of the accident, but access should not be complicated. Seek a lawyer that will fight for your case and one that does not settle easily. In the end, you must rely on your gut instincts and responsible research to find the right lawyer that will meet or pass your best interests. Looking for reviews, past cases and speaking in person with the potential prospects are the smartest ways to find the attorney that will help you reach a full and fair compensation. Having qualified, legal support will help you and your family in this moment of sadness, anger and frustration. It is not about an economical settlement, but justice and financial security in the future. We care about your losses and we want to assist you in taking action in filing wrongful death claims. 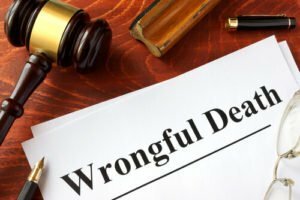 If death caused by negligent entities is a problem contact wrongful death lawyers that can support you. Your wrongful death case matters to us. I’ve had a great learning experience with Babcock Partners. They are excellent at what they do. I was very impressed with how they handled my personal injury case. I just had my personal injury case wrapped up by Stephen and his team and I can honestly say that I’m impressed with the speed and efficiency with which everything was handled.